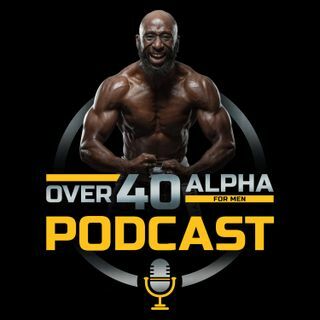 In this episode I chat with Chad Howse who is the author of the Book Man Diet, and Lost Art of Discipline and who is on a mission to help men become Alpha in this soft society that we live in. Chad's the author of the Man Diet and The Lost Art of Discipline, and the founder of Average2Alpha.com. Through ... See More his books and courses he helps guys create optimal testosterone levels, and live better, stronger, more successful lives. You, like I, are on a mission to create something indelible. We’re not here for mediocrity. We’re not trying to blend in; to be amongst the crowd. We aren’t concerned with being average, with creating average lives, taking the easy path, or building average bodies. Manliness has taken a sharp turn within the last few decades. Before this turn it was what it is supposed to be, true to its nature, innate, earned, won through persisting with honor. Is this turn the result of a society so corrupted by ease that it forgets what brought about such prosperity and innovation? Manliness has always been clear. We knew what a man was. We knew it wasn’t something won by birth but earned. It has been earned by the man who claims responsibility, both for himself and his tribe, and carries their load successfully with honor. Honor, today, is far more rare than it’s ever been because the values and virtues we once prized and depended on are now being swept away by a tidal wave of the weak, the ignorant, and the vain. In this episode you will learn the hard-won virtues of manliness that bore great and free nations across the world.